Our job at Tate Rowlands Estate Agency Flint often falls into a ‘matchmaker’ category! It’s about viewing each property with the eyes to find it’s perfect owner. “Rarely can I walk into a property without imagining the type of person, couple or family it would suit,” says Amy Rowlands, Director at Tate Rowlands. Everybody has different preferences when it comes to finding homes. An isolated property surrounded by fields might be one person’s dream house and another person’s idea of hell. Taste is subjective, after all! We have always believed in ‘finding homes, not just selling houses’. It may seem like a strange ethos in the modern world of estate agency. 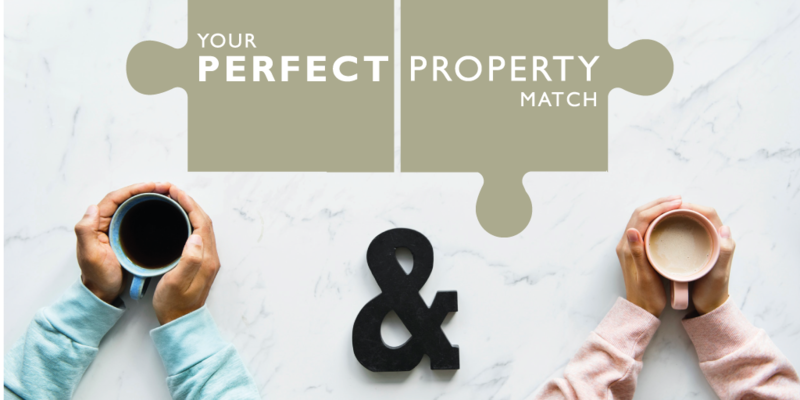 We care about finding the perfect match because we know that if it feels right and people fall in love with the property, it is much likely to run smoothly! Your home is the biggest asset most people own and yet a decision just made on finances alone is not one that stands the test of time (or even the stress of the natural ups and downs that the home purchasing process often goes through). We take the time to get to know each prospective buyer and what makes them tick. We want to know the dream lifestyle they are looking for but also the practicalities. We ask vital questions about their life now; how the house they are in works for them and what doesn’t. Having the ideal picture allows us to draw up a perfect match.